How come some people are born with confidence and others aren’t? I used to wonder this? I was a Billy Barry Stage School Kid – I went to that class every week for 6 years until I was 11! I was never picked for anything, the other talented, confident girls in the class would be on TV, the Late Late Toy Show, pantomimes and commercials…. the works. Not me. It’s not that I couldn’t dance, I could (don’t ask about singing though). But I lacked the confidence… it was like this huge mystery to me… I’d hear my Mother say ‘How are these kids so confident?’ We were all baffled. It took me years to figure out, that we are all born with confidence but some have it stripped away, or at least chipped at, and others have it nurtured as it’s encouraged to thrive. Someone told me her confidence was taken away, when a teacher shouted at her, when she wan’t able to stand up and read in front of the class. 30 years later she still struggles to talk in front of others. I’m sure we’ve all heard similar stories. Adults, oblivious of the damage they are doing, say or do things that affect kids confidence for years. None of us are perfect, sometimes we don’t realize the impact we have had. Also, there is nothing we can do to protect our children from mean words, (whether from kids or adults.) But what we can do is, teach them how to cope, and to listen to themselves, and not focus on the mean words. PRAISE: Praise where praise is due – remember to be honest and specific. LOVE THEMSELVES: It’s very hard to be confident if you don’t have a good opinion of yourself. Help them to accept themselves, the good and bad, and love themselves. We’re all imperfect. SOCIAL SKILLS: Teach them good social skills to look someone in the eye and speak up. FRIENDLY: Teach them to smile and say hi in order to make new friends. Kids are confused – they are scared of strangers and people they don’t know, we must teach them to expect the best of people, most people are good and helpful, but always follow the rules (never go anywhere with anyone they don’t know etc). I always ask my kids to try make new friends any chance they get – holidays, days out, activities etc. The more you do something the easier it gets. MIRRORING YOU: Remember they are learning everything from you, the more confidence you display, inside and outside of the home, the more likely they are to copy you, and believe it is the norm. If you are looking in the mirror and complaining or putting yourself down regularly, they will learn to do the same. MEAN WORDS: Watch out for adults or kids making comments or teasing your child, it may be unintentional but the damage can last a lifetime. Take action, do what needs to be done, if it feels right. Our kids confidence is too precious to let it go, for the sake of having a difficult conversation. INNER VOICE: Sometimes its the child’s or teen’s own internal voice that is dragging their confidence to an all time low. Or perhaps they believed something said about them, that wasn’t true. Get them help if this is the case. It can be sorted much quicker in childhood than suffering years as an adult. UNCONDITIONAL LOVE: There is no substitute for a loving environment where a child feels unconditional love from parents/guardians. Try not to deprive children of love when they are naughty kids or moody teenagers. These are the times they need it all the more. (That doesn’t mean no punishment or no ‘talking to’… just that you tell them you still love them through good and bad). 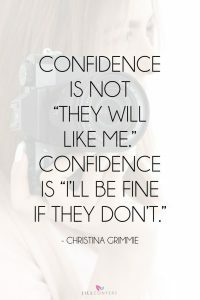 If you want to read a little more on confidence, including some powerful tools, (it’s almost a year since I started my blog, the first one was also on confidence,) you can click this link to read it: 6 Powerful Confidence Building Tips for Kids and Teens. We’re also going to be running Summer Camps this Summer (for age 8-12) to help kids with their confidence. It will include Yoga, Mindfulness and Life Skills. Sign up for my blog below and keep in the loop. 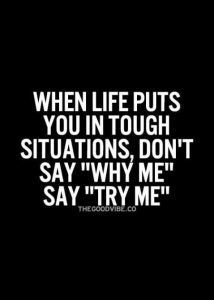 Thanks everyone as always, for your encouragement and support, please like, share, comment or tag a friend that may need this.